VdB 157 is a reflection nebula in the constellation Cepheus. 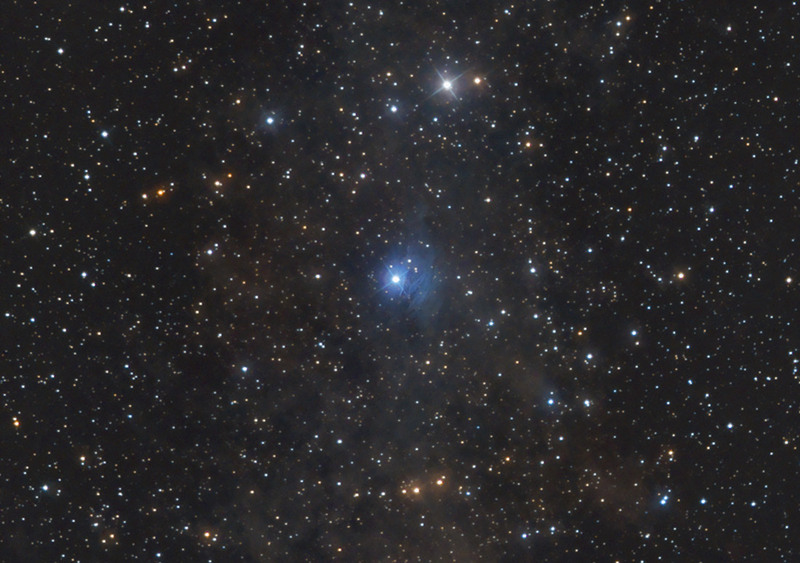 It is a cloud of gas that extends around the star HD 217903 of spectral type B9V, a blue-white main sequence star located in the region Cepheus R2. From its parallax, equal to 2.72 is deduced a distance of about 368 parsecs (1200 light-years). The cloud consists of cold dust located away from the surface of the star, and emit infrared radiation, captured by IRAS.